Today’s cities face many challenges due to population growth, aging population, pedestrian and vehicular traffic congestion, water usage increase, increased electricity demands, crumbling physical infrastructure of buildings, roads, water sewage, power grid, and declining health care services. Moreover, major trends indicate the global urbanization of society, and the associated pressures it brings, will continue to accelerate. One of the approaches to assist in solving some of the challenges is to deploy extensive IT technology. It has been recognized that cyber-technology plays a key role in improving quality of people’s lives, strengthening business and helping government agencies serve citizens better. During this panel, we aim to discuss the challenges and benefits of cyber-technologies within “Smart Cities”, such as the IoT (Internet of Things) technology for smart communities, placed on smart cities physical infrastructures and their human stakeholders; and cloud computing technology with its extensive data analytics and predictions towards improved Smart City infrastructure and services. Bio: Klara Nahrstedt is a Ralph and Catherine Fisher Professor in Computer Science Department, and Director of Coordinated Science Laboratory at the University of Illinois at Urbana-Champaign. Her research interests are directed towards multimedia systems, teleimmersive systems, trusted cyber-physical systems, Quality of Service (QoS) management in wired and wireless networks, and distributed, and pervasive mobile systems. She is the recipient of the University Scholar Award, the Humboldt Research Award, IEEE Computer Society Technical Achievement Award and ACM SIGMM Technical Achievement Award, IEEE Fellow and ACM Fellow. She is the member of the German Academy of Sciences (Leopoldina Society). She was the editor-in-chief of ACM/Springer Multimedia Systems Journal, she was the general co-chair of ACM Multimedia, the general chair of ACM NOSSDAV, the general chair of IEEE Pervasive Computing and Communications (Percom), chair of ACM Special Interest Group in Multimedia (2007-2013), associate editor of ACM Transactions on Multimedia and she is the associate editor of IEEE Transactions on Multimedia. She is the member of the Computing Community Consortium (CCC), subcommittee of Computing Research Association (CRA) from 2014-2017, member of the executive committee of CCC 2015-2016, and member of the Illinois Governor’s Technology Advisory Board, subcommittee on data (2016). Klara Nahrstedt received her Diploma degree in mathematics and numerical analysis from Humboldt University, Berlin, in 1985. She was a research scientist in the Institute for Informatik in Berlin until 1989. In 1995 she received her PhD from the University of Pennsylvania in the Department of Computer and Information Science. 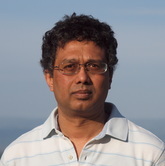 Bio: Pradeep Natarajan graduated with his doctorate in Computer Science from the University of Kansas in 2007. His areas of interest are Internet of Things (IoT), data analytics, data management, software development, machine learning, and artificial intelligence. Following graduation he started working for IBM as a Software Engineer. He has worked in the Research and Development teams of IBM Informix for the past nine years. He is a regular speaker at several conferences, academic events, and published articles in journals and proceedings. For the past four years, he has managed multiple R&D teams in the areas of replication, high availability, extensibility, cloud services, SQL, and DevOps strategy. He is currently leading the core engineering and IoT solutions team. For over 20 years, Alex has developed and later transferred technology to electrical utilities and large industriies in the USA. Within capital expenditure and regulatory constraints of his customers, Alex has lead and has been an individual contributor in the fields of Smart Grid monitoring and control systems, renewable integration, energy storage integration, and predictive maintenance technologies. Alex has held leadership roles, in challenging engineering positions, at global technology groups: Siemens, General Electric, and ABB. Alex received his BS from Ohio State University, MS from Michigan State University, both in Electrical Engineering, and MBA degree from Southern Methodist University. Bio: Dr. Gurdip Singh is a Program Director in the Division of Computer and Network Systems in the CISE Directorate at National Science Foundation. His program management duties include the following programs: Cyber-Physical Systems, Computer Systems Research, Critical Resilient Interdependent Infrastructure Systems and Processes, Partnership for Innovation, and Research Coordination Networks. He is also a Professor of Computing and Information Sciences (CIS) at Kansas State University. From 2009 and 2014, he was the Head of CIS Department at Kansas State University. His research interests include real-time embedded systems, sensor networks, network protocols and distributed computing. His research has been funded by NSF, ARO, DARPA and Lockheed Martin. He has been involved in developing software tools to design large-scale, distributed safety critical systems. He is working on developing methodologies and tools for building integrated sensor systems and analysis tools for automated optimization of distributed middleware. Prem leads the Google Fiber IOT Engineering and Network Management Teams. His current areas of interest are in the Internet of Things (IOT), Network Management, Embedded Systems and Connectivity Technologies. In the past, he has managed software teams working on Multiprocessor Systems, Storage Virtualization and Wireless Networking. He has had leadership roles in small and large companies including Hewlett Packard, Brocade, Atheros, Qualcomm, Google Android and Google Fiber. Prem received his B.Tech from the Indian Institute of Technology and MS from the University of Minnesota.